Being released by Arrow Films on 7th March 2016 is the Australian canine thriller 'THE PACK'. 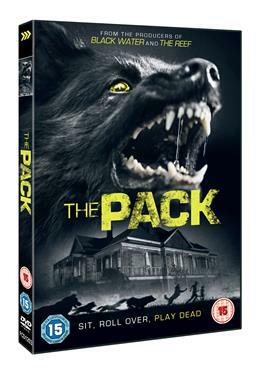 Taking place over a frantic and nightmarish 24 hours, 'THE PACK' sees a family menaced and attacked by a pack of vicious and hungry black dogs in a classic piece of animal-amok horror. On a remote farm in Southern Australia, hardened farmer Adam Wilson, discovers the last of his livestock have been mauled to death by a pack of wild dogs. His dreams of keeping the family business going are shattered, but nothing can prepare him for what will happen next. As night falls the feral pack of dogs begin to circle the farmhouse. With a taste for fresh blood, they launch their attack, stopping at nothing to get inside the house. Will Adam and his family make it out alive? Or will they fall victim to...'THE PACK'! You can be damn sure we will review this eco-horror when it comes out.